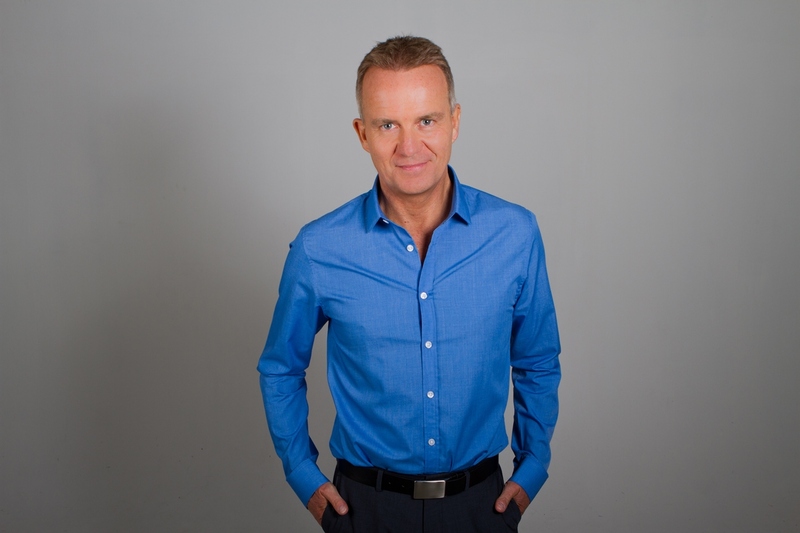 Follow Glenn’s Tips for Permanent Fitness!! A few years back now I realised how vital it was to keep myself fit and healthy. I realised that part of the key to this was to train my mind to enjoy a healthy new lifestyle. It’s easy to give up on a new fitness and health routine because your motivation wains or you lose interest. When you eat healthily and exercise regularly you get fit and healthy, it is as simple as that. The key to achieving these two goals is through programming your mind to ENJOY eating healthily and exercising. Self-hypnosis and meditation are a great way to achieve this. Adapting the mindset of looking forward to exercising rather than it being a drag is a sure-fire way to permanent and lasting fitness, and the more you move your body the more you will want to. Get into the habit of moving your body as often as possible in your everyday life. Look for simple everyday opportunities to be active, even if it’s just a short walk, jog or a mini trampoline work out for 10 minutes in the morning. Golden Rule 2: Learn to Love Exercise! Learn to enjoy being active. Always connect with a feeling of pleasure and enjoyment when you exercise and use affirmations and visualisations to build the belief that you love to exercise. A good mantra to repeat over and over for this would be ‘I love to exercise and keep fit.’ Connect with a feeling of enjoyment and pleasure as you state this affirmation. The more energy you give your affirmations, the stronger the belief becomes. The motivation to exercise and keep fit then becomes normal and natural – something you love doing. Find the right form of exercise for you – if you love nature, walking or jogging maybe the thing for you – taking in the great outdoors. You may love the gym and so going three times a week will not seem like a chore. 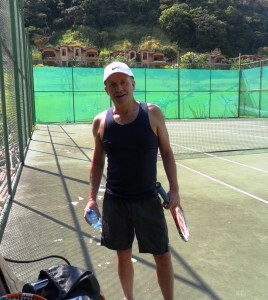 If you have a competitive nature maybe tennis or squash will suit you. If you love to dance there are many dance based exercise classes, or maybe you need something a little more gentle like yoga or T’ai Chi. Think about what suits you best and commit to a programme. There is no shortage of gyms and exercise classes. There are simple new habits you can adopt to increase the exercise you take daily. Where possible walk or cycle instead of using the car, if you take a bus or train, get off a stop earlier and walk. Park at the farthest point in the car park of the supermarket or shopping centre and walk in. Always choose to walk up and down the staircase instead of taking the elevator. Feel good as you do these things and be grateful for the opportunity to get your heart rate up. Consider increasing your fitness to run a half or full marathon, or do that long ten mile walk for charity or a sponsored swim. Having a goal will help to keep you focused on exercising. Once you achieve a small goal you will find it becomes a little addictive and you will need another one to follow up with. You may do a three-mile walk for charity and then find the ten-mile is the next step, or run half a marathon then go for the full marathon the next year. This way, you build upon your fitness goals gently over time. If your motivation to exercise is not strong, consider finding a buddy to run with or walk with. You will motivate each other and you are far more likely to stick to a plan that involves another person. Consider getting a canine buddy, dog walking is a wonderful way to commit to daily walking. The dog will not accept your excuses not to exercise with him/her. Instead of meeting a friend for a coffee, meet up for a walk. Swap a night at the pub for a regular night bowling, skating or salsa dancing. Extend your circle of friends by joining a club that is focussed on exercise; there are running clubs, rambling/hiking clubs, rugby/football clubs, tennis/badminton clubs. This way you will gain the benefit of the exercise and the social aspect of the club too. 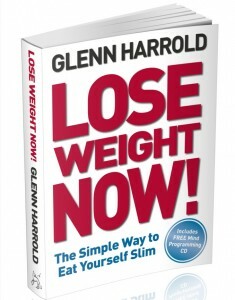 I am very pleased to offer my LOSE WEIGHT NOW book at a 50% discount (up to end of July). You pay just £5.49. I have filled the book with lots of great tips, techniques and positive suggestions and affirmations. This also includes a FREE CD to help you on your journey to losing weight and getting fit and of course feeling great! Please click on the link below to place your order! You can also purchase my LOSE WEIGHT NOW & EXERCISE FITNESS MOTIVATION CD’s or MP3’s together at a discounted price. Please click on the link below for more information and to order! I wish you every success on reaching your goal! Go to a quiet room where there are no distractions. Take a moment to get into a comfortable position, close your eyes and focus your attention on your breathing. Begin to breathe very slowly and deeply – in through your nose and out through your mouth. Make each circular breath long and deep and allow your mind to go blank. Continue this for a short while until all the tension disappears from your body, and your mind is still and quiet. Once you feel relaxed and centred, begin to create your visualization. Imagine yourself participating in exercise and feel yourself really enjoying it. It is important to use your emotions here so that you anchor a strong sense of enjoyment into your unconscious mind. Maybe visualize yourself on a treadmill or rowing machine, practising yoga, playing tennis, cycling, jogging or whatever works for you. As you see yourself doing this activity, connect with a feeling of pleasure and enjoyment. Make the visualization clear and use your senses to create a realistic mental image. Take a little time and let your imagination go. These affirmations are examples. Feel free to adapt them for your specific goals. You can even use the affirmations as a soundtrack to your visualization once you get the hang of it. When you are ready, open your eyes and come back to full waking consciousness. I love hearing from you guys so do post your feedback below. I can’t answer individual questions here but I do want to grow this blog and make it informative and helpful, so whatever you feel, post your thoughts below. Such good advice! You are the man Glenn! Love all that you do for us, to teach us what you have learned! I have been listening to your various hypnosis cd/mp3 since 2005. But realised your exercise motivation is the best. Not only its motivating to become more active and doing exercises, but surprisingly its making me more cheerful person. I dont feel unhappiness within me at all. It increased my memory more than your memory developement cd, which used in 2006.